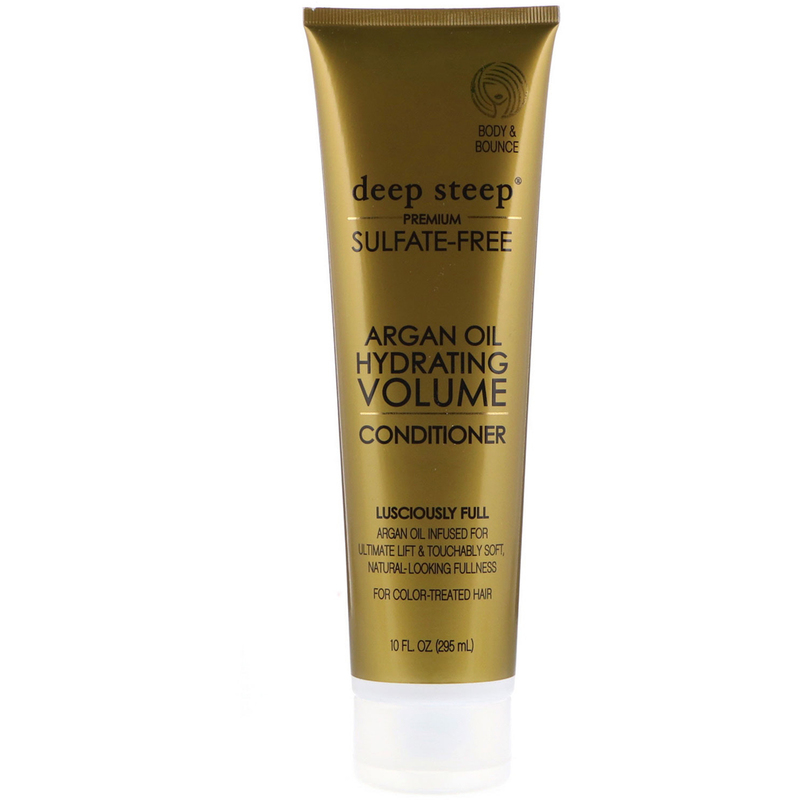 Argan oil infused for ultimate lift & touchably soft, natural-looking fullness. For the ultimate full-bodied hair. This exclusive high-performance, nourishing formula with Organic Argan Oil and Marula Oil instantly amplifies volume at the roots and thickens each strand for touchably soft, natural-looking fullness. Aqua, behentrimonium methosulfate, cetearyl alcohol, organic aloe barbadensis leaf extract, organic prunus armeniaca (apricot) fruit extract, organic citrus medica limonum (lemon) peel extract, stearalkonium chloride, glycerin, organic argania spinosa (argan) kernel oil, aleurites moluccana (kukui nut) seed oil, sclerocarya birrea (marula) seed oil, capryloyl glycine, helianthus annuus (sunflower) seed oil, guar hydroxypropyltrimonium chloride, hydrolized rice protein, potassium sorbate, aroma. No chemical preservatives, SLS, parabens, petrochemicals, dyes, phthalates.